Home / bagtags / hiligbagtag / HiligBagtag, a Bagtag that's so YOU! HiligBagtag, a Bagtag that's so YOU! There has got to be that one thing that one can do it all day long and not feel tired at all. And that's called, PASSION. Passion is something we always wanted to do. But then with a lot of factors to consider, some of us are having a hard time translating our own passion. You can wear your passion up your sleeve and express yourself through bagtags. HiligBagTags offers mementos to express your passion and to help motivate you be the best you can be. It is an e-commerce site that customizes bagtags that suits your taste, and your passion. So whether you're a blogger, biker, runner, gamer, IT Geek, photographer, musician or even a shopaholic, HiligBagtags have something that could exude your passion. Their designs are fun and well thought of. If you have a tag or design in mind that will make you say, “that’s me!”, they could make it for you and your design will be included in their library of bagtags. The good thing is that they will ship your order for free, irregardless of how many bagtags you hoard. Let your bag tags speak for you. Get a Bagtag that's so "YOU". 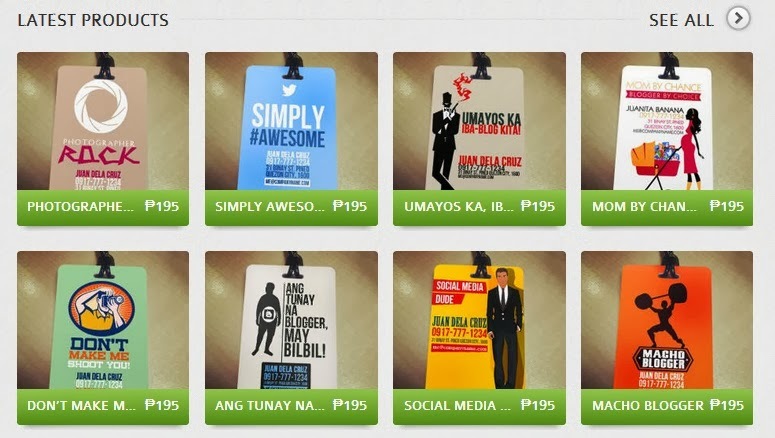 Visit Hiligbagtags and order your own bagtag now.